Here’s a lovely review of my mom’s book–from Chicago Book Review! 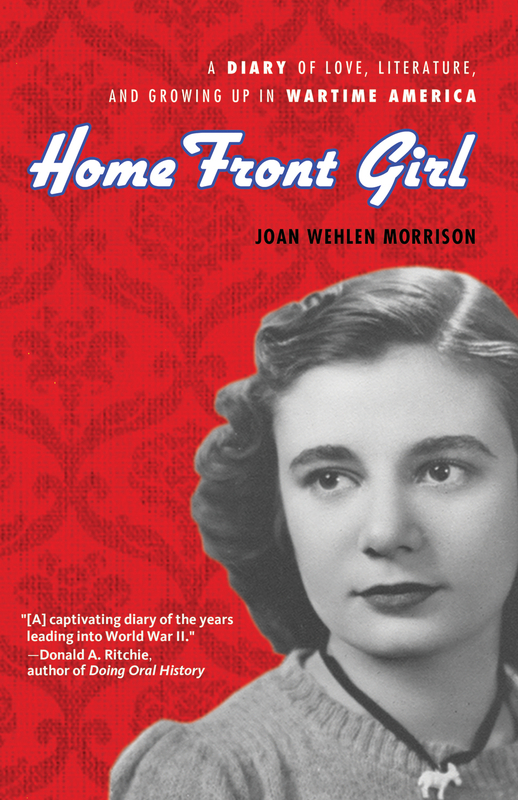 Wartime diaries written by young girls are something of a rarity, so it is more than likely that Joan Wehlen Morrison’s engaging Home Front Girl will be compared to such titles as Anne Frank’s World War II classic Diary of a Young Girl and Zlata Filipovic’s more recent entry Zlata’s Diary: A Child’s Life in Wartime Sarajevo. Such comparisons are apt, so long as they don’t detract from the unique voice captured in Wehlen’s work. A lovely review by Trilla Pando has just appeared. It’s a perfect review! You can read it here. “This book is more than an interesting and well-written account of an individual; it is history….Kudos to that daughter, Susan Signe Morrison, who took volumes and volumes of diaries, journals, school notebooks, and other documents and crafted both a loving portrait of her mother as a young girl, and an accurate history of time and place. Memoir and journal lovers will relish this book. But I can also see it on American History reading lists in both high schools and colleges. Were I ever to teach a journaling workshop to young people, this one would top the list. Posted in Susie's Blog and tagged Book Review, Story Circle, Trilla Pando. Bookmark the permalink.